SELLA CONTROLS have recently completed the Factory Acceptance Test on a solid state Safety Instrumented System for an offshore production platform in the North Sea. The system will provide shutdown functions for additional process equipment associated with a new subsea development project that includes new production wells and water injection wells. SELLA CONTROLS has been providing high integrity systems using HIMA Solid-state safety technology since 1983 and our UKAS accredited Functional Safety Management System provides assurance that our systems meet the rigorous design and verification requirements for SIL 3 applications. Since the UK Referendum on membership of the European Union Sella Controls has been continually assessing the likely impact of “Brexit” on our business and working to mitigate the impact; whatever the eventual outcome in March 2019. Our primary objective is to ensure continuity of service to our customers by working closely across our supply chain and our risk management is focused on a constant review of supply chain planning in light of the anticipated risks around various Brexit scenarios; taking in to consideration the latest publicly available information. The major area of risk is around future customs arrangements. We trade internationally and are already experienced at importing and exporting within and beyond the EU; working within existing customs declaration procedures with a UK EORI Number, which will facilitate customs clearances, should there be a no deal scenario. We are working closely with our import / export agents and transporters to ensure there is a smooth transition and they are able to declare goods on our behalf. We are also engaging the Customs Declaration Service (CDS) to assist in smooth transactions through borders. We have undertaken a mapping of our supply-chain with high (Tier 1) to low (Tier 4) risk and are working with Tier 1 companies obtaining their direct support to ensure our supply chain is prepared in the event of no deal. All Tier 2-4 suppliers have provided us with statements on their own Brexit preparations. 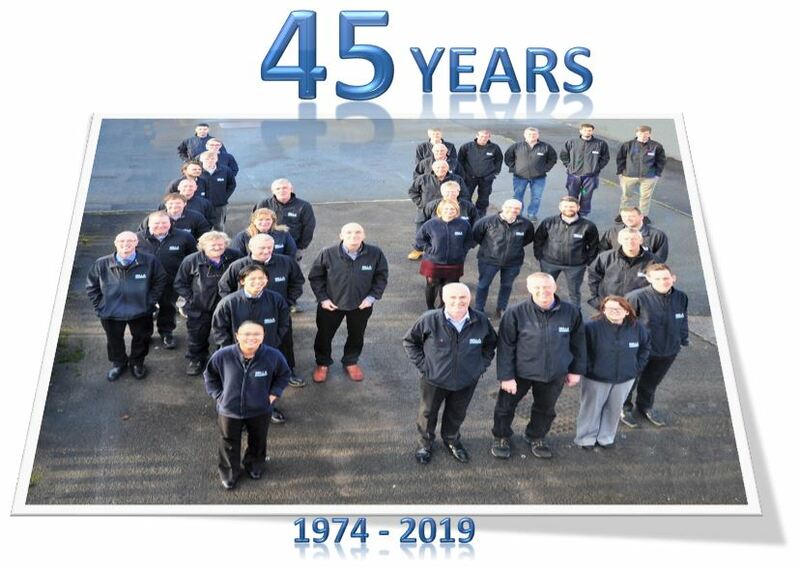 We have held meetings with our UK wholesale suppliers who in turn have their own non-UK supplies and obtained assurances that they have appropriate plans in place and are carrying stock levels to meet our needs. We have undertaken a review of all of our non-UK suppliers and discussed with them arrangements to bring forward delivery of critical components scheduled for the March / April period. To assist our staff internally we have a help file with links to relevant HMRC advice to ensure that shipment details are as accurate as possible which will further mitigate potential delays at customs points. We have set aside working capital funding to facilitate increased levels of stock holding. We provide control systems through our engineering expertise and our technicians and engineers are predominately UK residents. We do not envisage any issues with residency of our current workforce and continue to monitor this. We trade in a number of currencies including the Euro with our inflows in foreign currencies aligned to our respective outflows and see little exposure should there be a short-term devaluation in sterling. Should this be longer term we will adapt our currency exposure risk management accordingly. 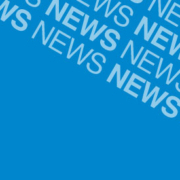 We recognise that under certain scenarios Brexit may impact the Standards and Regulatory environment in which we operate however our current view is that there is insufficient clarity around this area against which to plan; other than to continually assess updates from industry bodies and regulatory authorities. In summary, we are not aware of any issues likely to seriously impact our business but continue to monitor this closely. Any disruption we envisage will be short-term disruption at borders and customs clearance and we have mitigated this by targeted early delivery of critical equipment and strategic stock holdings; both directly and through our suppliers; as set out above. With what we know today we have appropriate plans in place, which are under constant review. As an SME we are able to react quickly to the impact of various Brexit scenarios and this has a high priority on our Risk Register and is under regular review by our Board of Directors. SELLA CONTROLS have been awarded a contract from ESG Rail, who has been contracted to develop, supply, install and commission a physical prevention of overspeeding (PPOS) device for the London tram fleet. This protection system will operate independently of the other tram monitoring systems and will stop a vehicle if it is found to be travelling at excessive speed within pre-defined locations. Transport for London (TfL) began work on the feasibility of introducing this new safety measure, which has not been introduced on any UK trams before, shortly after the tragic overturning at Sandilands, Croydon, in November 2016. It is one of the recommendations set out by the Rail Accidents Investigation Branch (RAIB) following the tragic tram overturning and is expected to be fully operational by the end of 2019. 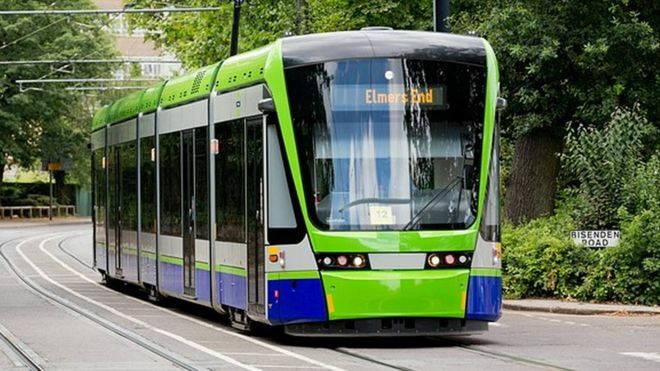 SELLA CONTROLS will provide the equipment necessary for the PPOS system to be installed on all of London’s trams. The system consists of a PPOS controller (EKE Trainnet) fitted to each tram, together with a Tracklink III Reader. Tracklink III beacons will initially be installed at a select number of high risk areas on the routes but will have the flexibility to be introduced elsewhere on the network. In the event of a tram over speeding in a speed restricted area, the PPOS controller will interrupt the power to the PPOS safety relay. This will result in full service brake application and will bring that vehicle to a controlled stand-still. This event will be alarmed at the London Tram control room via 3G/4G connection. SELLA CONTROLS will be providing the server and workstation for handling the alarms and storing the data. In addition SELLA CONTROLS are also responsible for providing a new Depot Wi-Fi system which will be used to download PPOS data from each tram as it enters the depot. 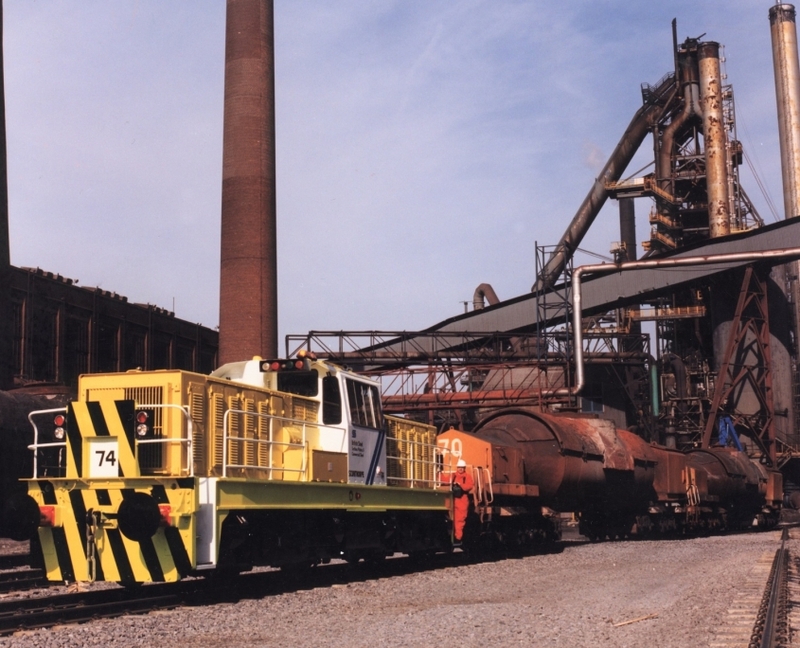 SELLA CONTROLS is pleased to announce that we have recently been awarded a contract by British Steel to design and supply a new PLC control system for the Hunslet Shunting Locomotives at its Scunthorpe site. SELLA CONTROLS have a long association with these locomotives. In 1990 we supplied a fail-safe radio control system to RFS Engineering who had the contract to convert the locomotives to radio control operation. As part of this contract a Square-D SY/MAX PLC was installed for interfacing the radio control and manual controls to control the loco. 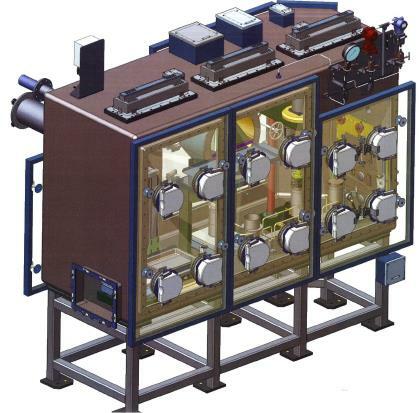 Some 10 years later, in 2000, SELLA CONTROLS won a contract from British Steel to upgrade the radio control system and extensively re-program the Square-D PLC for new control functions. The Square-D PLC has become impossible to maintain and repair as it has been obsolete for many years. As part of this contract SELLA CONTROLS will be replacing the Square-D PLC with a Siemens S7 PLC and will be providing new functionality including event recording. The contract is for the supply, design and integration of the S7 PLC and wiring plus new software for the first loco. Providing it all goes well there will be further orders as British Steel slowly upgrades its other Hunslet locos. SELLA CONTROLS are delighted to announce a significant investment in our Technical Support capability with the appointment of two additional Support Engineers who bring a wealth of additional experience to our existing team. Both engineers have over 15 years’ experience in the field of maintenance and service with a good appreciation of the different stages of the project lifecycle, offshore working environments and fault finding/commissioning. In addition we are pleased to also welcome back Mike Ireland to our team. Mike re-joins our Technical Support area as Principal Engineer and in addition to engineering support activities will greatly enhance our Functional Safety competence and Mentoring/Development capability. SELLA CONTROLS has been awarded a 10-year framework contract to supply Cavendish Nuclear with C&I design services and manufacture of control panels associated with Glove Box Systems which Cavendish Nuclear are supplying to Sellafield Ltd.
SELLA CONTROLS will be a Subcontractor to Cavendish Nuclear who will be required to meet all of Sellafield Ltd’s requirements for the design, manufacture and supply of glove box systems for future plants in the treatment and management of nuclear materials. Cavendish Nuclear specialise in the design, manufacture and delivery of services across the nuclear lifecycle and have extensive experience of working across the Sellafield site, including ongoing work on the design of remote-handling equipment for the product and residues treatment plant. The delivery partnership will be supported by a supply chain located across the UK, bringing together the best of Britain’s nuclear expertise in an integrated team committed to meeting the customer’s demanding specification. 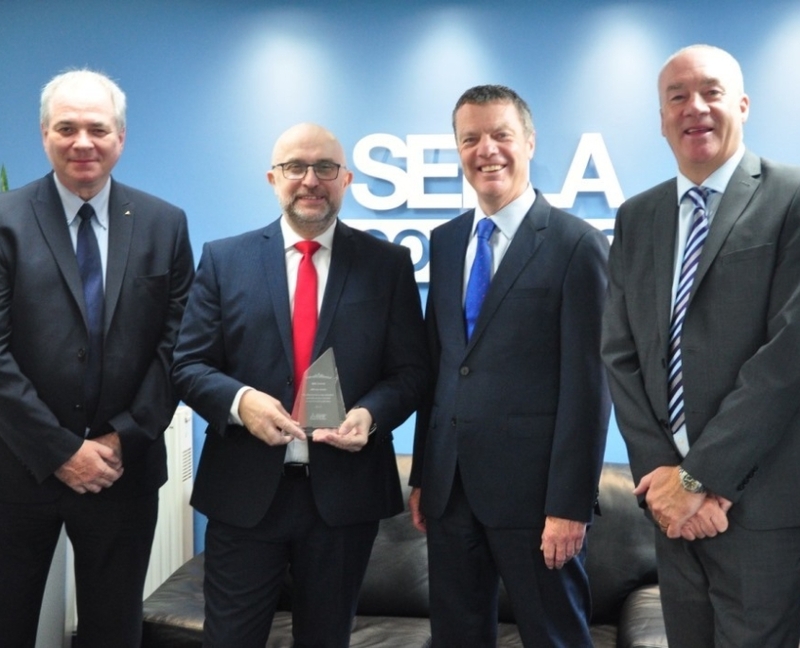 The award of this contract to SELLA CONTROLS continues a successful working relationship with both Cavendish Nuclear and Sellafield Ltd. It builds upon our relationship with Cavendish Nuclear on several recent projects where our performance and quality of work were recognised as a contribution to the overall project success. Typical Glovebox arrangement – SELLA CONTROLS will provide box mounted C&I equipment and associated Control Panels. 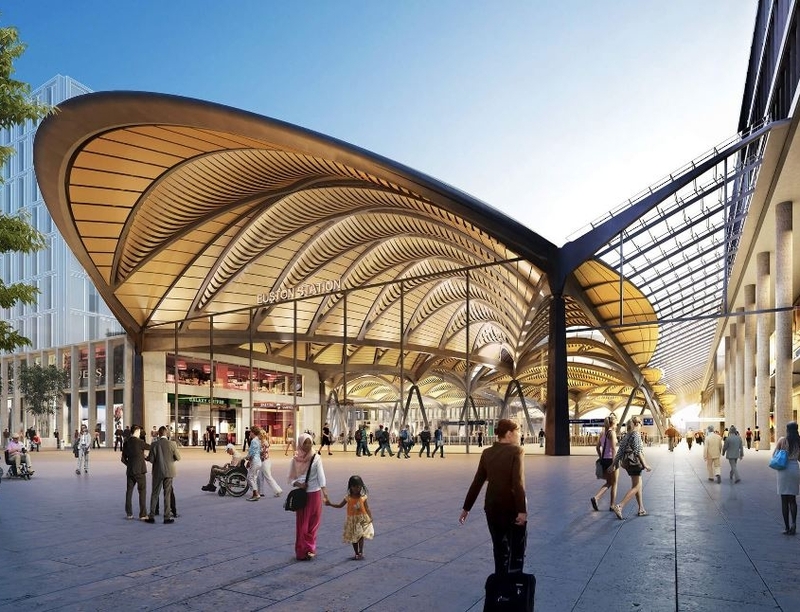 Stockport, United Kingdom – Systems integration specialist SELLA CONTROLS is pleased to announce the contract award by Lowery Limited to supply its Tracklink® RTU products to support HS2 Enabling Works at Euston Station. Lowery have been successfully delivering rail engineering projects since 1998 to Network Rail and the industry supply chain and are working closely with the main contractor for the works, Skanska. With the impending construction of the new HS2 Terminus at Euston Station, existing equipment buildings need to be relocated to allow the clearing of the site to take place ahead of construction. As a result the existing Euston substation, used to feed the station power network, is to be relocated to a new substation building. The contract covers the complete design, engineering, build, installation and commissioning of a Tracklink® RTU including its connection to the existing traction power SCADA system at Rugby ECR. Using the Network Rail accepted Tracklink® RTU solution, SELLA CONTROLS will be supplying a solution with a distributed architecture. The new Euston SS RTU will be supplied with a master RTU controlling three slave remote modules installed in a number of substation buildings. In addition to this the RTU will have the ability to be controlled from either a local control panel or via an intelligent PLC delivering the auto reconfiguration of the power feeding arrangement in the event of a failure. 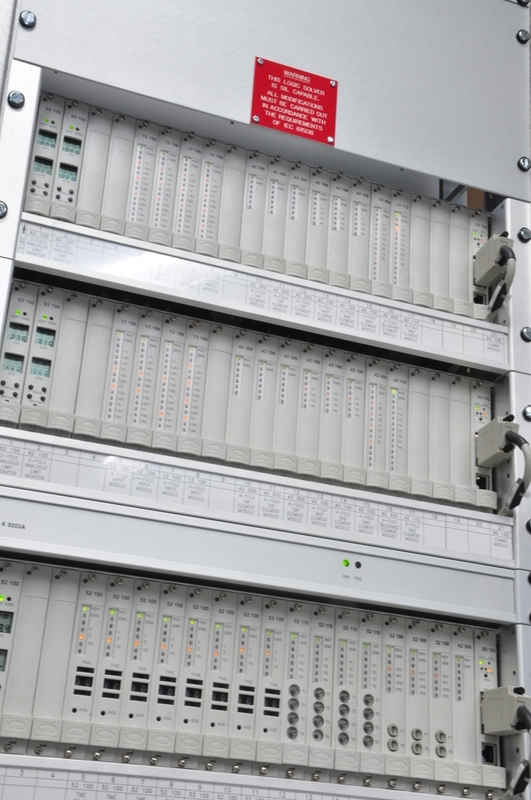 These cabinets are interconnected via a fibre network providing diverse routing of control and indications for the substation. Central to the Tracklink® RTU solution is a COTS based PLC supplied by Mitsubishi Electric. The Q Series PLC provides the RTU with its intelligence and control and consists of core processing (CPU), Communications and I/O Modules. The distributed architecture will use the Q Series CC-Link high speed network over the fibre to facilitate the connections between the cabinets. Lowery have a reputation for quality and service that goes back over 65 years. As a Principal Contractor, they undertake Signalling, Telecoms, HV, DC, LV electrical installations and civil engineering works of all types whilst continually responding to market changes and developments. Mark Gubbins, Managing Director of Lowery Limited commented. “This is another high profile project that Lowery have teamed up with SELLA CONTROLS to deliver the SCADA element of this project, Lowery and SELLA CONTROLS will ensure the timely delivery of this challenging and important part of the High Speed 2 enabling works at Euston Station”. 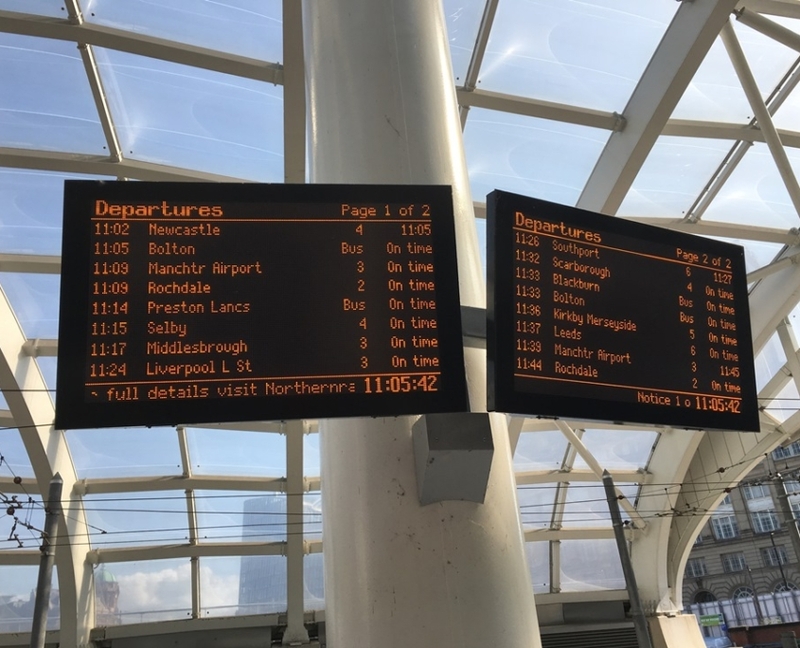 Stockport, United Kingdom – Systems integration specialist SELLA CONTROLS is pleased to announce the contract award by Arriva Rail North (ARN) to deliver Station Information Systems and Surveillance (SISS) enhancements across 25 stations in West Cumbria and Lancashire. The contract for work packages West 9, 10 & 11 is part of the ARN Station Improvement Fund (SIF) scheme, and combines the addition of Customer Information Systems (CIS) and Long-Line Public Address (LLPA) equipment across the network. The works also include the delivery of CCTV services to assist ARN with their CCTV renewal programme. SELLA CONTROLS will be working in partnership with Vextrix Management and ARN’s Property Team – Project Delivery Manager Rick Jones to deliver new SISS telecommunications equipment and enhancement works at each location. This approach has created delivery efficiencies for the end client reducing the overall cost of the scheme.